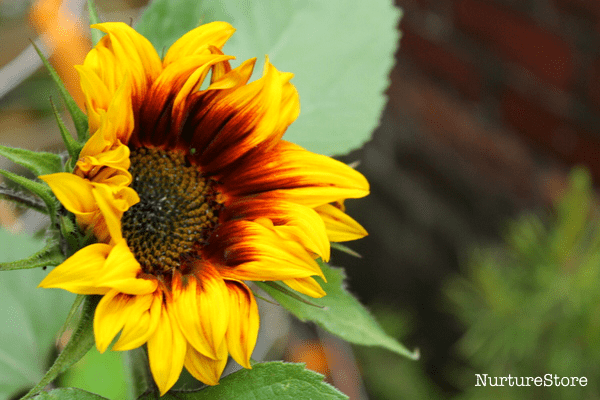 June and July is when our Garden Classroom really comes into it’s glory, with lots of the flowers popping open and offering up their sunny faces to the bees and butterflies. We always make sure we include flowers in with our fruit and vegetables, both too look pretty and too encourage those important pollinators to visit. and sunflowers, which are just peeping open. My daughter picked this variety called Solar Eclipse after watching the real solar eclipse back in March. 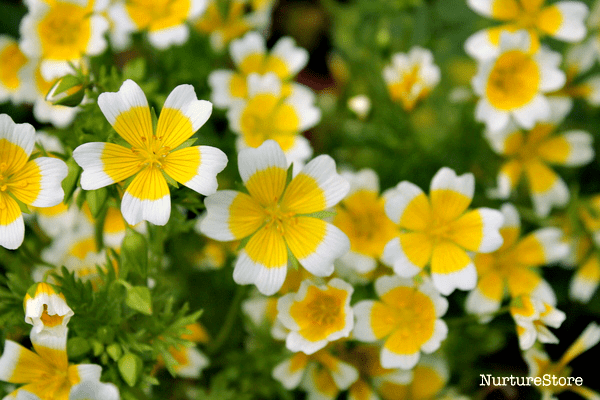 Poached egg plants are so pretty and really easy to grow. I love the yellow circle that is formed by the five petal – a great nature study in radial symmetry. Hoverflies love them too. The close-up dissection we did when we were learning about daffodils back in the spring gave us an introduction to the different parts of plants, and we have been watching the flowers out in the garden classroom as they have been developing. Watching how the buds first appear, swell, and then peel themselves open is fascinating, and it’s interesting to compare different plants and see what’s the same and what’s different from one variety to the next. 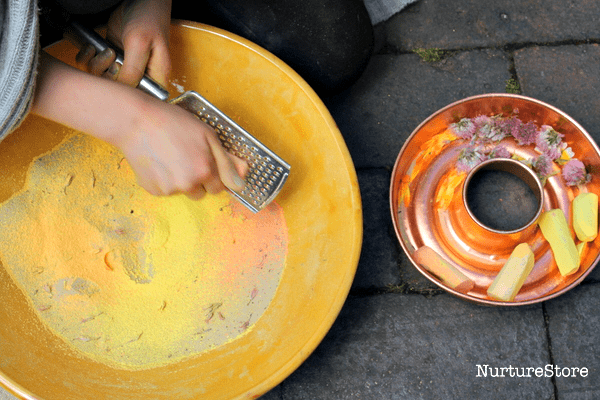 Inspired by the colours of the flowers in the garden, this week I set up an invitation to play using sand and chalk. 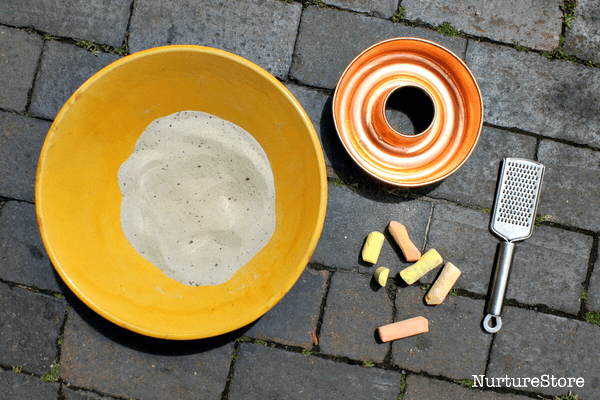 We’ve use chalk to make coloured sand before, and it’s such a simple process. This time my daughter focused on adding colour on to the top of the sand to make some transient art. 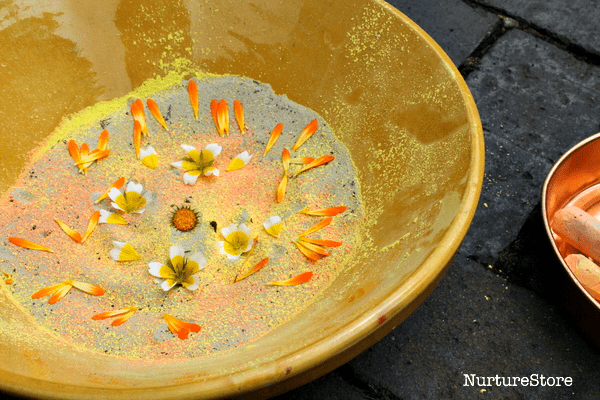 She used yellow and orange chalks and grated them onto the bowl of sand. 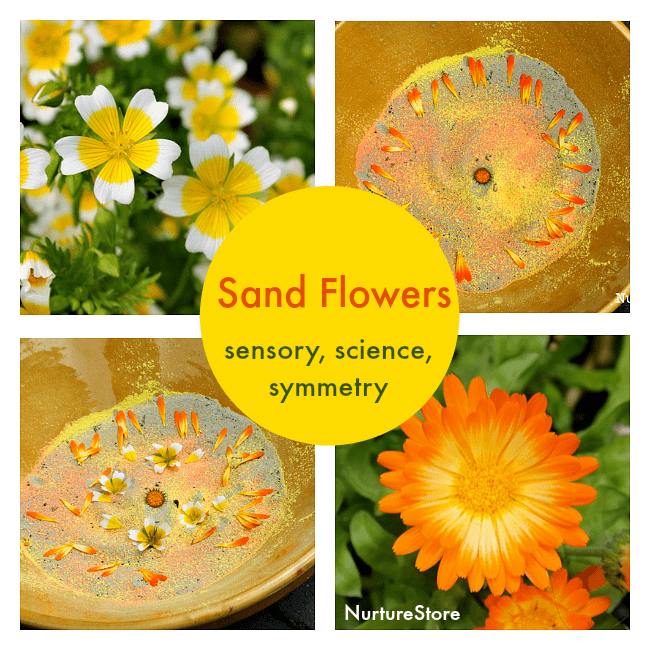 Then she collected a few flower heads from around the garden and used them to make sand flowers. 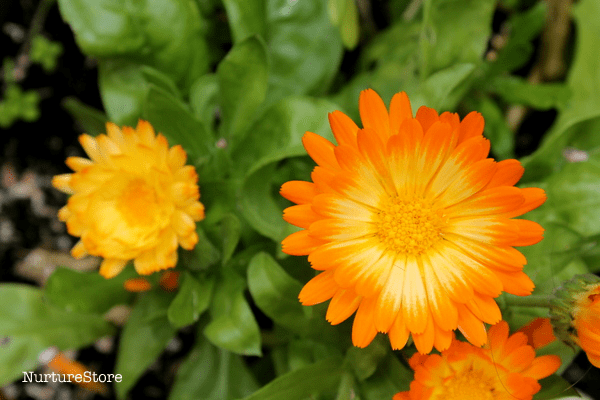 You can use whole flower heads, or peel off the individual petals. 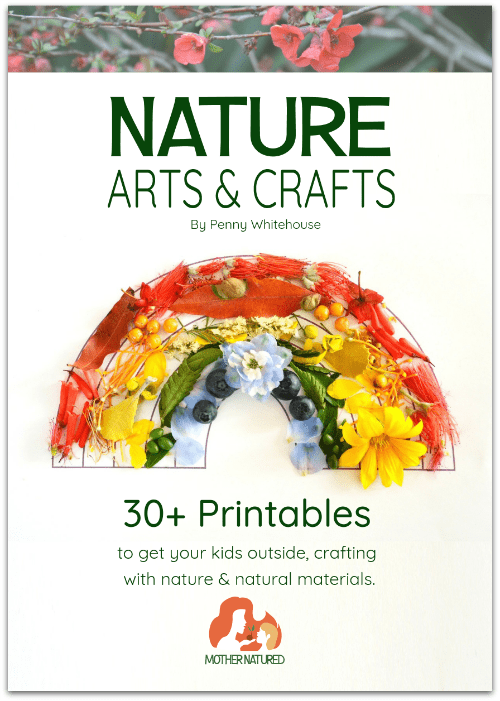 Make flowers, patterns or mandalas. 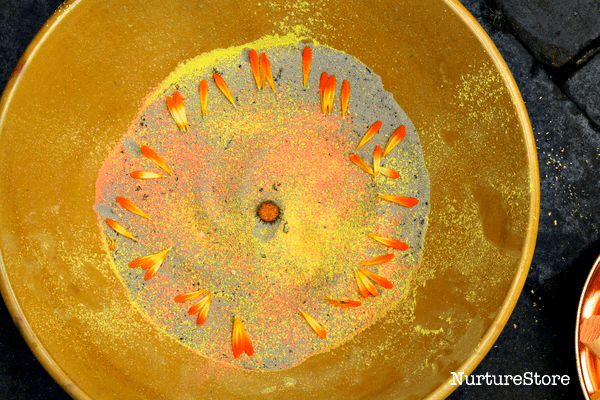 You could use chalk in a different way to make flower mandalas. Or use a snipping garden to work on scissor skills. 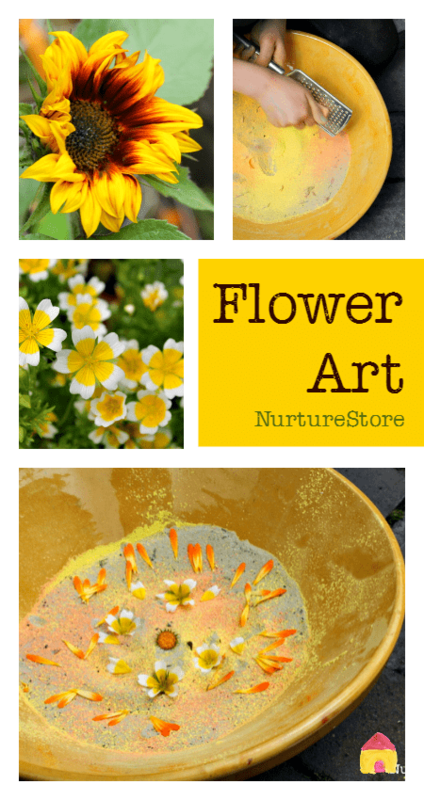 Or try flowers with play dough. You can find a complete resource for playing and learning alongside nature in The Garden Classroom.